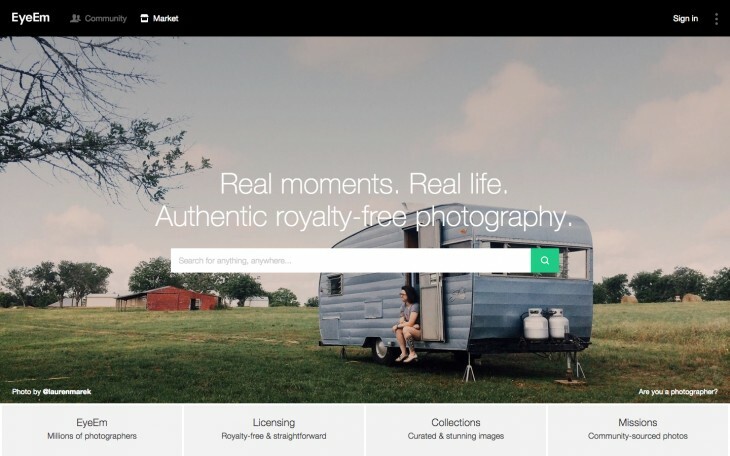 EyeEm, the photo-sharing app that has built a creative user community and featureset that sets it apart from the ‘Instagram clone’ crowd, has today launched an easy way for its users to sell their images to individuals and businesses. EyeEm Market is launching with over 50 million images, and photographers can add their images on an individual basis by opting them in. Revenues from each sale are split 50/50 between EyeEm and the photographer. Images will cost $20 for a standard license (unlimited impressions for editorial and commercial use on a website, social network or online ad, plus print at maximum resolution up to a maximum of 250,000). A $250 for extended commercial license removs the cap on print copies and allows the image to be used on TV or on images for resale, like t-shirts or mugs. This isn’t the first time EyeEm users have been able to sell their images. A deal to sell photos through Getty Images will continue parallel to market.